For the first time this year I was actually able to land a job when I returned from working in Alaska. This is a good thing of course but working full time has it's disadvantages, namely I don't have as much free time to devote to the blog and it's driving me crazy. Unfortunately, pursuant to this I think I'm going to have to drop down to 3-4 articles a week that I can write in my free time on one of my days off. Days off, what a misnomer that is, it's not really a day of rest, just a day of chores and errands you can't get done on the days you're working because you're scheduled for a mid shift, the bane of retail. I'm not complaining though, the job is good, if not hectic, and I'll be eligible for benefits after 90 days. Creepy Armour salesman guy would positively love to sell you some of his sausages, just don't ask what they're made of... really. With that Hannibal Lecter smile would you buy processed meats off of this guy? Apparently this was a 1917 version of an award winning smile but nowadays it's a "You're going to the funny farm smile". From the look of the ad Armour used to be into salting, curing or canning anything they could get their hands on. Not surprising really, it's 1917 and refrigeration was just getting off of the ground. Everyone still used iceboxes and foods had to be preserved in a non-refrigeration manner. Of course this also involved the copious use of salt in preservation which meant the average person consumed roughly 5x the present day RDA of sodium. Oddly enough though, for sodium being the great bugaboo of heart attacks that the FDA says it is, I rather think people back then had them less often than is currently the case. I've been wanting to write about this recipe for a long time now but of course life has gotten in the way and I've been reduced to a full week of "Bisy Bakson" syndrome (read the "Tao of Pooh" if you want to know what I'm talking about, I highly recommend it.) 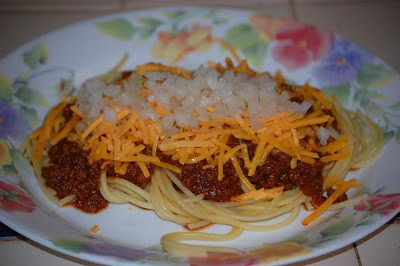 I became familiar with Skyline Chili when I was passing through Cincinnati years ago as part of a work related conference. It's an interesting take on chili as it involves no beans in the recipe like we're used to with the Tex-Mex style chili's. Invented by Nicholas Lambrinides in 1949 and so named because he could see the Cincinnati Skyline outside of his first restaurant, it incorporates spices and flavors he learned from watching his family cook back in Kastoria, Greece.1 When done right, the spices meld together in a intense dance of flavor on your tongue. While the original recipe remains a secret, I have been able to piece together what I feel is the closest recipe to the original. Dad, who is also very familiar with Skyline Chili, gave it two thumbs up. Ah 1924, unless you went to a speakeasy you couldn't get beer and wine anymore so what was the younger generation to do for fun? Drink Welch's grape juice of course! The savvy hostess, in serving Welch's was "sharing one of Mother Nature's oldest secrets of hospitality." Funny, I figured that secret was the product derived after the fermentation of grape juice. 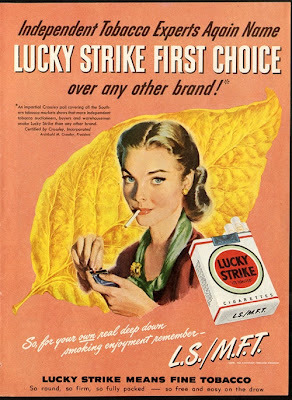 Oh well, it was the Prohibition era and advertisers had to be politically correct, even back then.